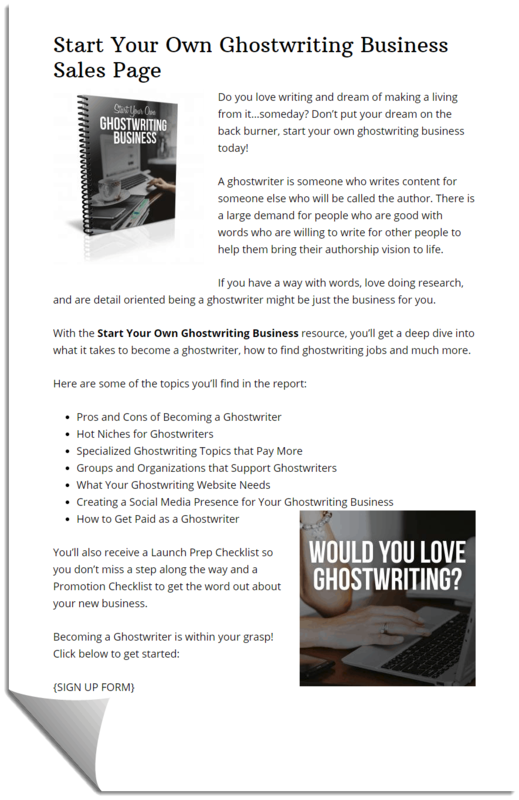 This package includes an in depth sellable report (6699 words) into what it takes to become a ghostwriter. 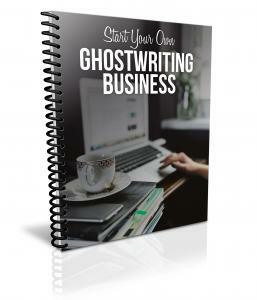 Ghostwriting is a popular freelance business of high interest to those looking to break away from more traditional jobs. 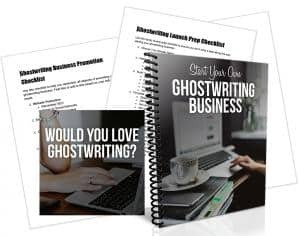 In case you can’t tell – we’ve had this written by a highly experienced and successful ghostwriter – so you can trust the content is on target! 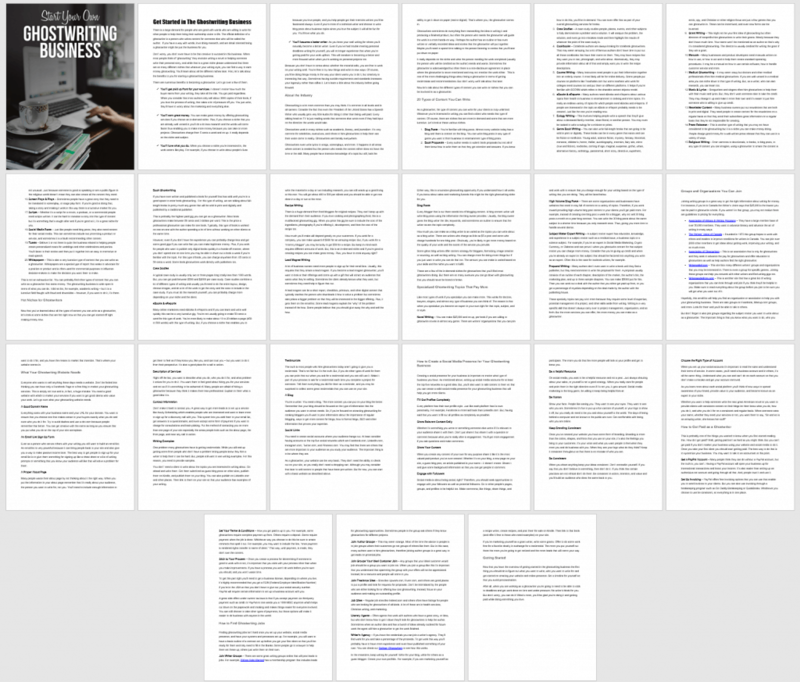 If I were you, I’d consider making an audio recording of the entire guide – to appeal to those buyers who love listening more than reading. It’s so easy to do and adds huge value! 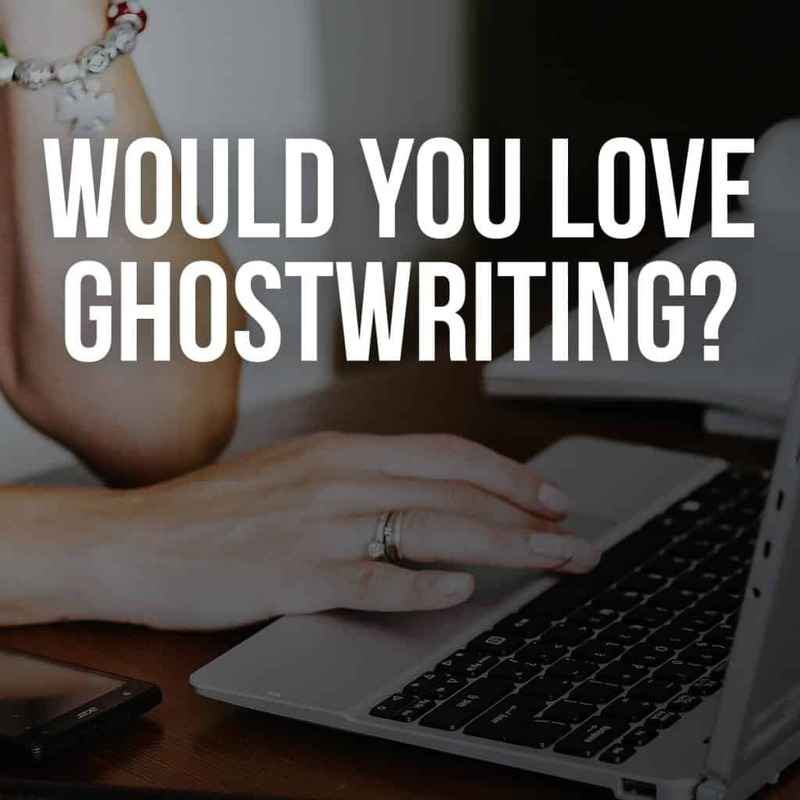 A blog post (1381 words) titled “Would You Love Ghostwriting?” This is perfect for you to use attract interest for the sellable report. We made an image to go with it, shown below. We provide you with an ecover and graphic you can use in your post and on social media (1200 px square). 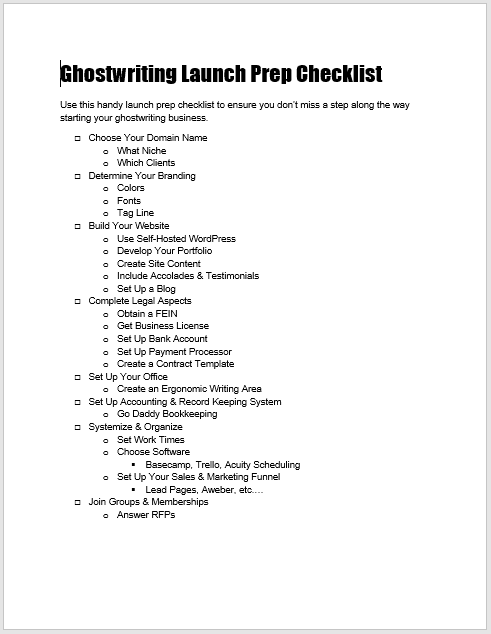 We’ve included a Ghostwriting Business Launch Prep Checklist so your people won’t miss a step along the way and a Promotion Checklist to get the word out about their new business. A series of three email autoresponders to follow up with your customers. 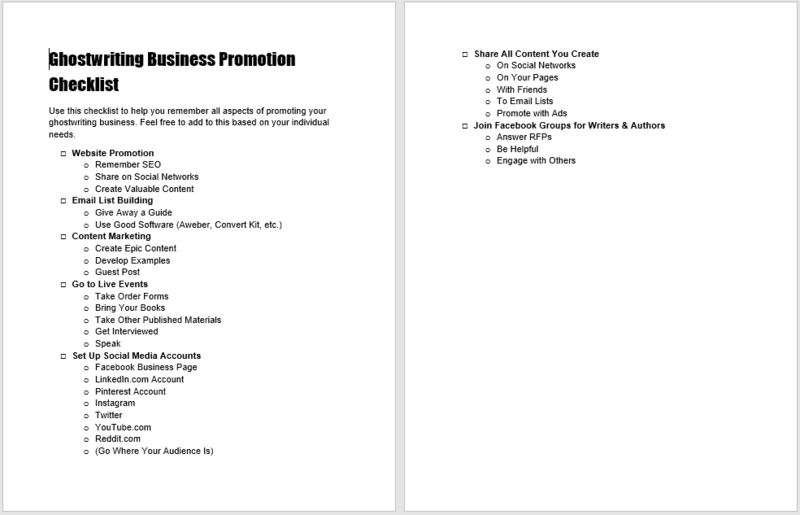 Plus, our simple to implement sales page copy to make it easy for you to get your sales page set up quickly.